As a manufacturer of insulation monitoring devices for unearthed DC drive systems in electric vehicles, Bender is now expanding its e-mobility business to include compact, intelligent and cost- effective charge controllers. As the number of electric vehicles on the roads continues to grow, so too does the infrastructure needed to ensure that finding a charging station or charging point is not a problem. The costs of installing a charging point are also falling thanks in part to technological developments, but challenges still remain. With little available space and a vehicle electrical system that must fulfil the demanding industrial requirements specified by IEC 61851, IEC 60364, ISO/IEC 15118, ISO 17409 and the Open Charge Point Protocol (OCPP), mode 3 AC charging points are under particular pressure because the installation and charge point costs are simply too high to be economically viable for a provider . Today’s AC charging points are mainly systems with expensive and sensitive RCD protection devices (type B FI circuit breaker). This allows today’s cars to charge at many different charging stations. 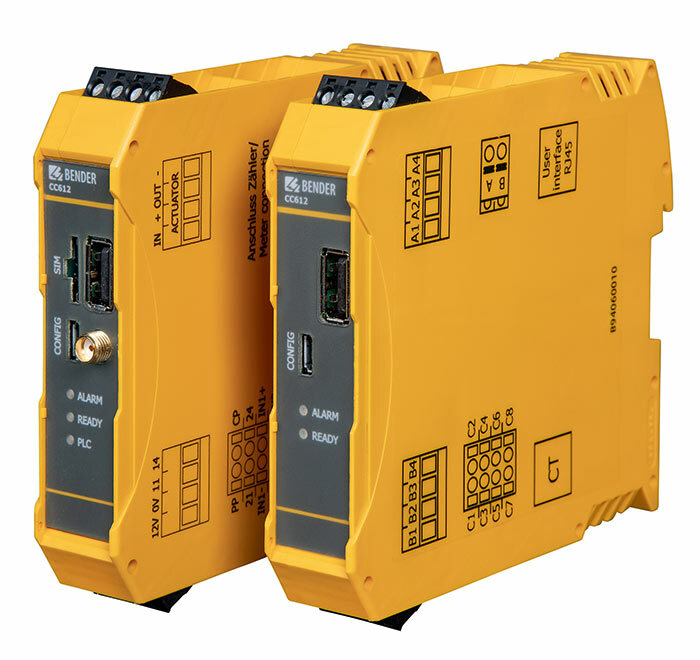 With its scalable highly integrated CC612 charge controllers, Bender is addressing these issues. The charge controller is characterized by its compact design and size (114.5 mm x 22.5 mm x 99 mm) that in turn enables intelligent, small and cost effective charging points. To enable the charge controller to communicate, a backend system together with a well-known and trusted communication protocol is required. Given that most backend providers strictly adhere to the OCPP communication protocol, the charge controller is OCPP 1.5 and 1.6 compliant.